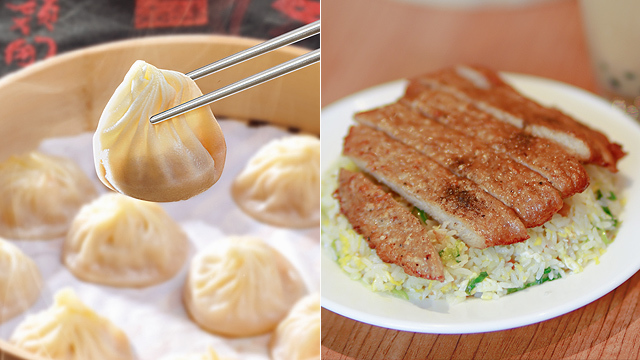 They're more than just soup dumplings. (SPOT.ph) It’s no secret that Metro Manila has a lot of great Taiwanese restaurants for your everyday fix of wonton noodles, xiao long bao, or even just plain milk tea. There's no shortage of world-famous eateries opening up shop here, either—and given the pace that’s going, you can expect to see more cuisines from around the world in the next few years. Besides offering excellent Taiwanese favorites to Filipinos, Din Tai Fung was also one of the first Michelin-starred restaurants to land on Philippine shores. The restaurant has been such a hit since it opened in 2016 that it has quickly become a no-fail dining spot for the Metro's most discerning. But with over 80 dishes to choose from, eating here could admittedly get a little overwhelming. Here’s something that could help: We're giving you the lowdown on the restaurant’s 10 most popular dishes in the Philippines. Which of your favorites are on the list? Note: This list is not ranked. It’s difficult not to think about soup dumplings when you’re at Din Tai Fung—heck, the Taiwanese restaurant is practically synonymous to these pillow-soft dim sum that bursts with savory-hot broth. 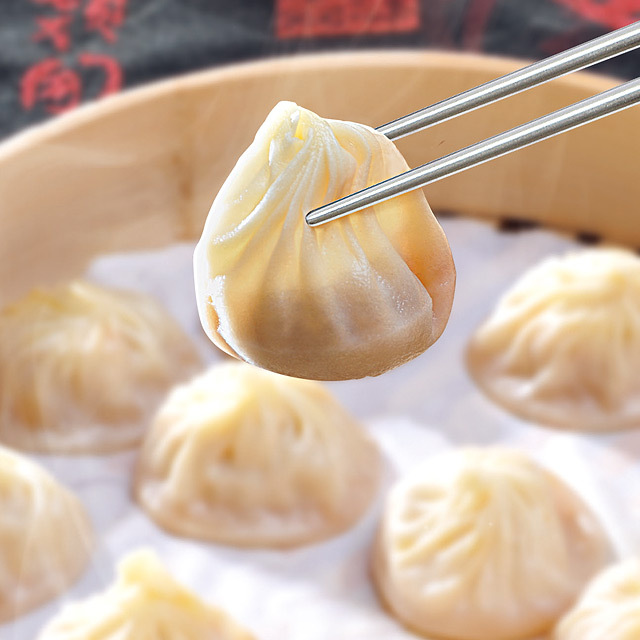 Hand-made fresh daily by xiao long bao “masters” or “shifus,” these soup dumplings also come in a lot of exciting variants. Besides the classic minced pork, you can try other flavors like crab roe, chicken, garlic, and even foie gras or truffle, if you’re feeling fancy. 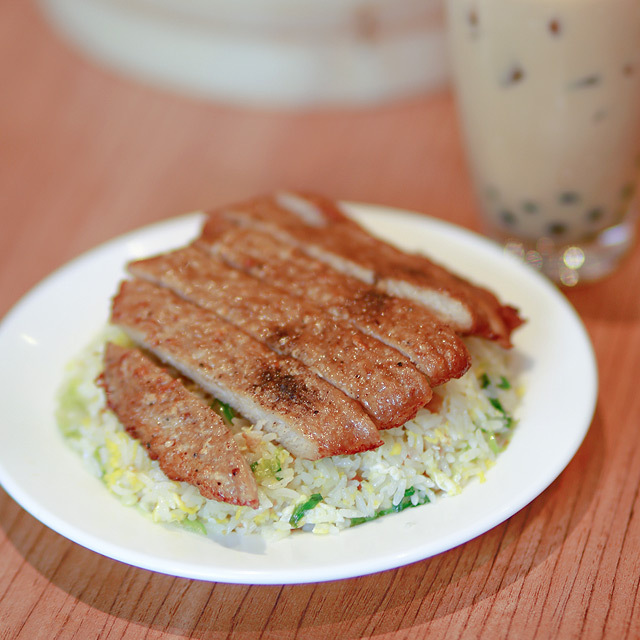 Next to their famous xiao long bao, Din Tai Fung’s Pork Chop Fried Rice is also a worldwide crowd favorite, and we bet you already know that. Think golden, crispy deep-fried pork strips stacked on top of a mountain of yellow-hued fried rice—each spicy and crackling morsel complementing the mildly seasoned rice. Not only is the dish a flavor bomb, but for what you’re getting, it’s pretty affordable, too. 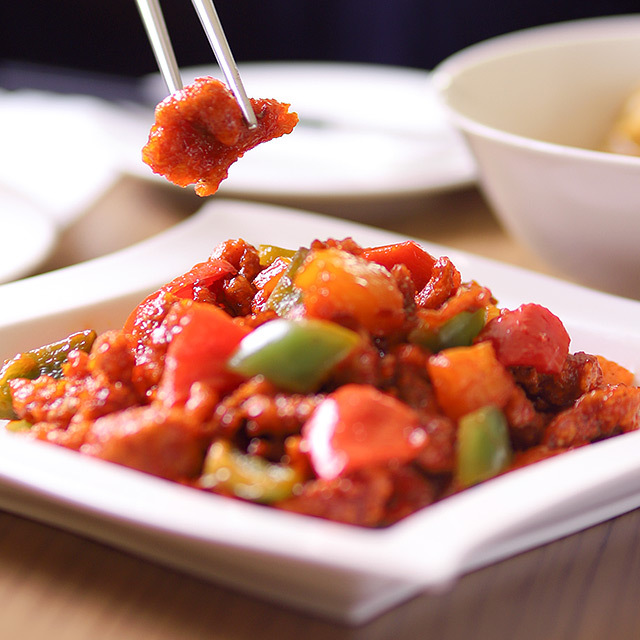 You might know by now that sweet-and-sour anything is a staple in any Chinese or Taiwanese restaurant. Your grandparents love it, your mom and dad love it, and chances are, you love it, too. Din Tai Fung takes this classic dish up a notch by frying each glistening pork nugget to a perfect crisp and blanketing them with a tangy-sweet reddish dressing—no soggy bits here. 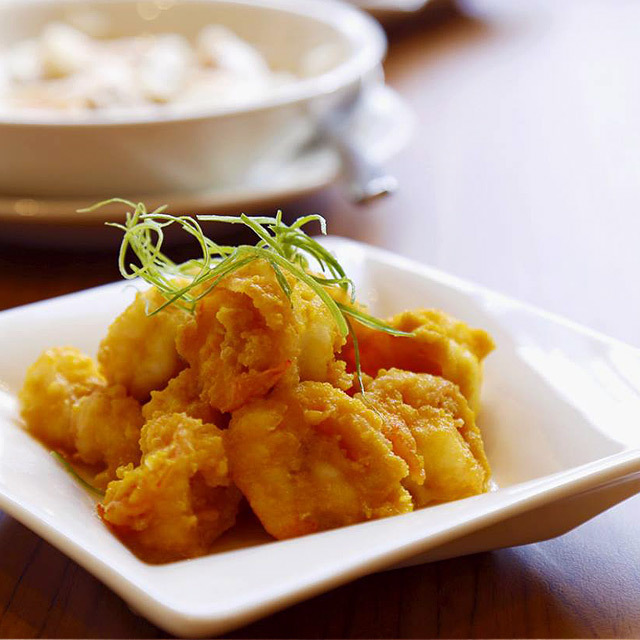 Salted egg is loved by many for its savory and salty profile. 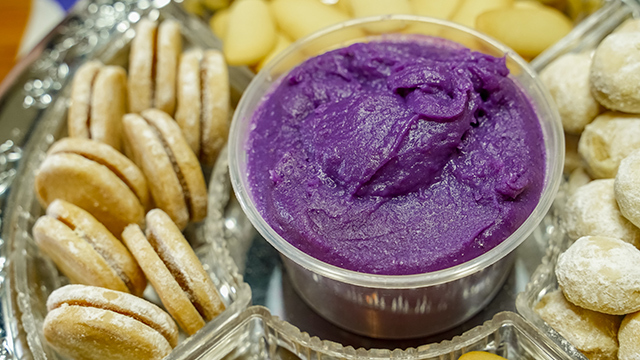 You’ll see this popular flavor in potato chips and even sweet desserts, but nothing quite captures its distinctive richness more than by partnering it with seafood. Din Tai Fung coats their meaty prawns in a light salted-egg batter for a satisfying bite that gives off a slight crunch. Pro tip: It’s perfect with plain rice! 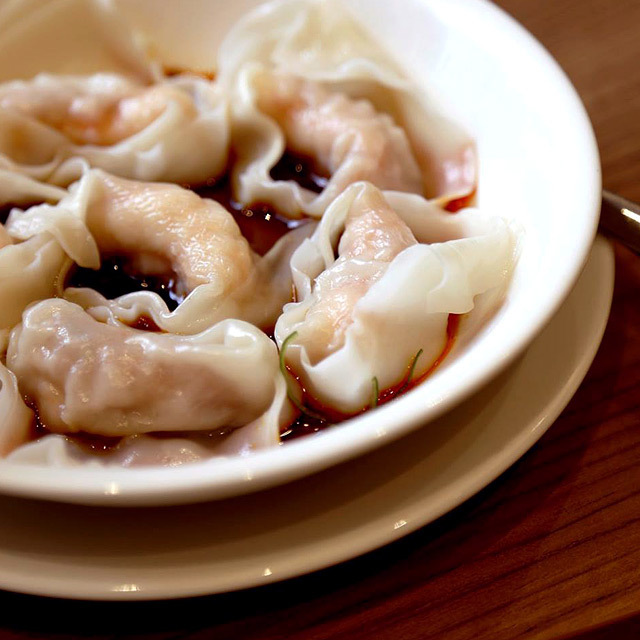 Taiwanese cooking is characterized by a lot of herbs and spices, and these shrimp and pork wontons are probably the best and most obvious testament to that. Swimming in a sea of secret spicy red sauce, the dumplings are juicy when bitten, each piece flaunting a robust and garlicky punch. You can dip it in Din Tai Fung’s table vinegar or have it on its own—either way, garlic and chili fans are in for a treat. If we were to nominate Din Tai Fung’s most underrated dish, this would be it. 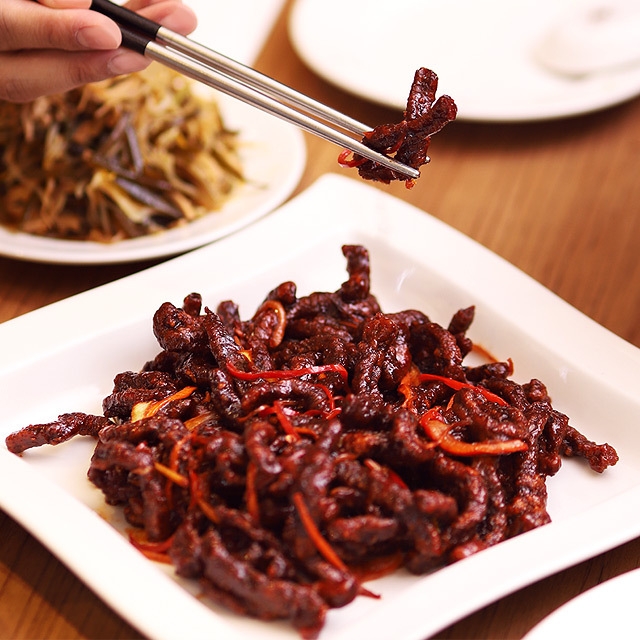 Although it’s not as popular as the other protein dishes on the menu, these Crispy Beef Strips deserve all the recognition for its uniqueness. It’s the perfect snack when you’re feeling a bit peckish, or you could match it with any of the restaurant’s fried rice to make it a meal—sweet and savory, these crunchy-inside-and-out beef strips are for those who want to try something new. 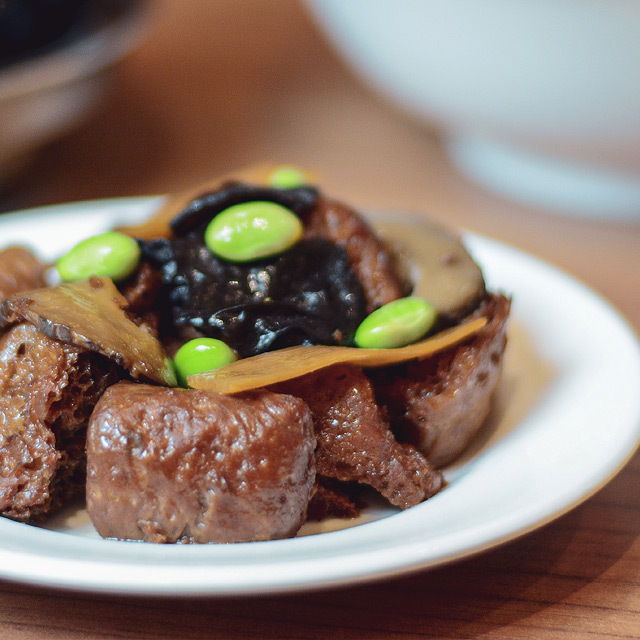 Din Tai Fung’s Taiwanese Kao Fu might not be the first thing you’d order at the restaurant, but this cold appetizer has gained a steady following over the years for its tasty flavor and distinct tofu-like appearance. The kao fu’s spongy texture might put you off, but don’t knock it till you’ve tried it. Made of wheat gluten, each chewy piece is slathered in a slightly sweet and umami dark sauce. It’s usually topped with mushrooms and nutty edamame beans. What’s a Taiwanese restaurant without proper milk tea? After all, Taiwan is the birthplace of the famous drink. 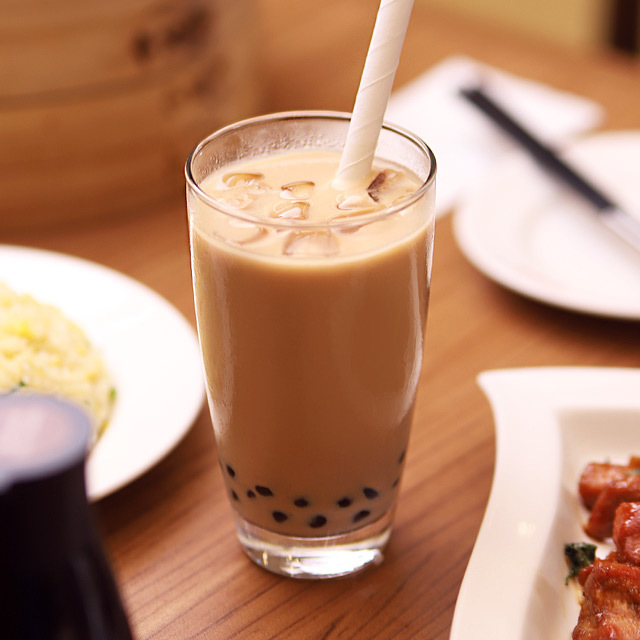 Din Tai Fung offers classic Black Milk Tea, which you can also order for takeout at any of their branches in the Metro. This version boasts a strong black-tea flavor that’s tempered by creamy milk and chewy-sweet pearls. 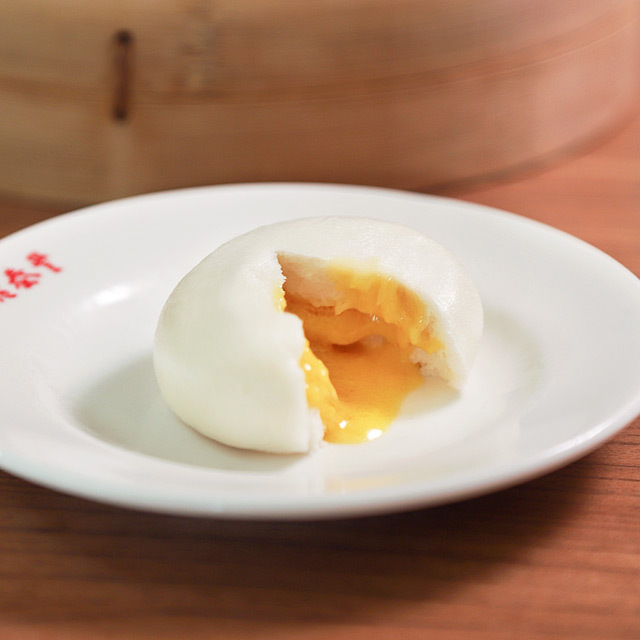 Anyone who’s had Din Tai Fung’s Golden Lava Salted Egg Yolk Bun can attest that the rich, piping-hot yellow salted-egg sauce oozing from inside each fluffy bun is practically liquid gold. We could eat three of these in one sitting without a hint of umay—it’s that good. What do you get when you cross a sweet chocolate lava cake with xiao long bao? 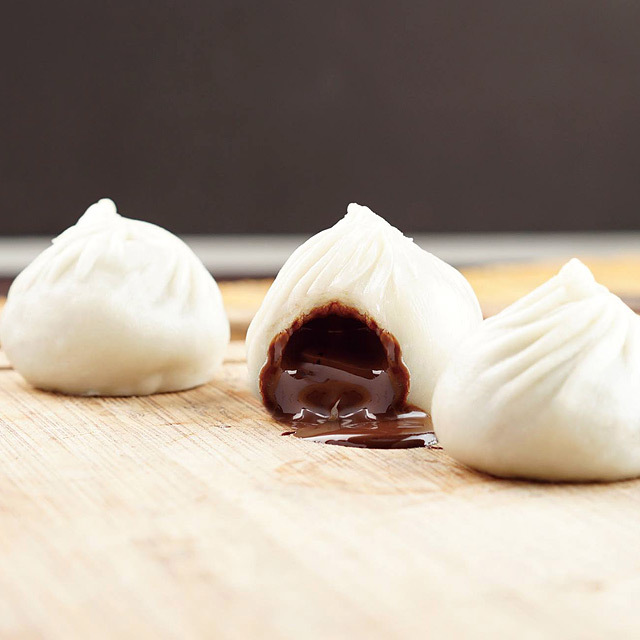 Din Tai Fung’s Chocolate Lava Xiaolongbao is every chocolate lover’s dream—no wonder it’s a bestseller. 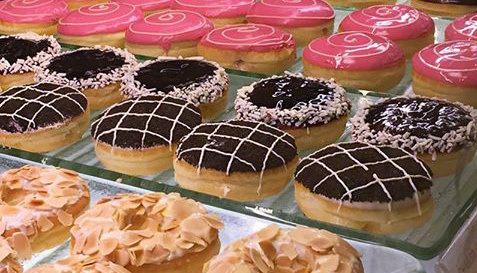 It’s best enjoyed fresh off the steamer to get that gooey, thick chocolate center. Fun fact: The Chocolate Lava Xiaolongbao was first created at Din Tai Fung Philippines and has been a crowd favorite around the world ever since.